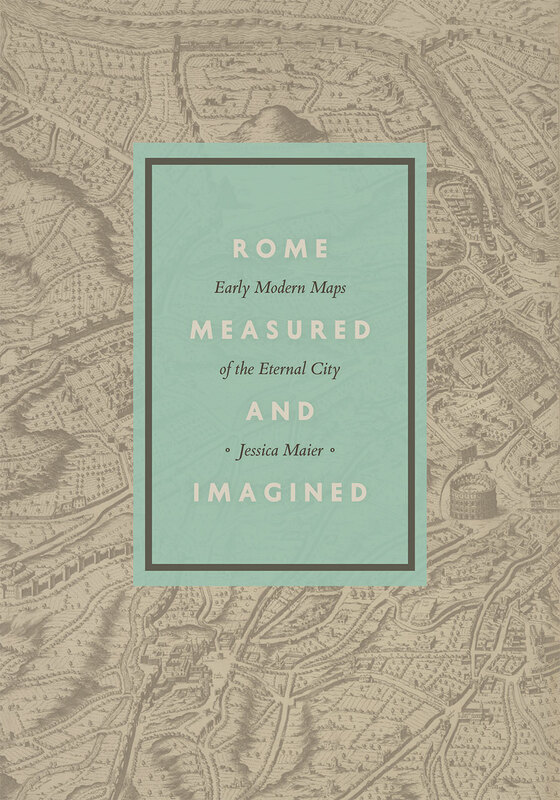 Rome Measured and Imagined: Early Modern Maps of the Eternal City. Chicago: The University of Chicago Press, 2015. 264 pages, 12 color plates, 84 halftones. $50.00. Close your eyes and imagine the city you live in. Stand back and let your mind draw out the buildings, roads, waterways, and other landmarks that define and make up the topography. Now imagine taking this image and translating it onto a piece of paper. If you were like me, it would be just a faint resemblance of reality. 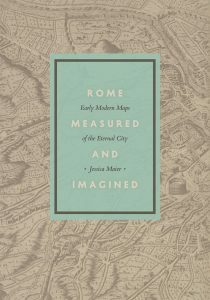 That is why Jessica Maier’s recent book, Rome Measured and Imagined is such a fascinating and engaging work. In particular, Maier develops an interdisciplinary approach of understanding the genre from two different yet intricately related points of view. On the one hand, there is the possibility of exact measurement and precision that science offers in creating amazingly rich and vivid representations of city spaces that enabled a viewer to instantly orient themselves within the map. On the other hand, there was also the possibility of an active and artistic re-imagining of the space which resulted in something more than just an accurate representation of space. These two aspects taken together, at the height of the printmaking era, produced a broad category of work that was known as the “public image” which was readily available for public viewing, consumption, and imagination. Maier is able to trace out a cartographic history of these pictorial maps that helps to situate the representative mapmakers as groundbreaking artists who aimed to offer a representation of Rome that was always influenced by the time it was produced, but also always pointed to an ideal or idea of Rome yet to exist. One of the most important results of the book is that Maier challenges the reader to rethink their understanding of a place through their interactions with maps that they have interacted with on a daily basis. How do you begin to account for the underlying motivations that push a map to do more than just try to represent the current reality? It is especially interesting to think through the implications of some digital maps and what they choose to represent and how. Although digital technologies are at the frontiers of making some of the most accurate maps that we know of, how do they (and how will they) influence our understanding of the future? One hundred years from now, what will be the impact of these maps on how we understand our relationship to towns, cities, countries, and more broadly, the earth? In the end, the book challenges you to think about the collective meaning of a map and how it influences identity and culture. This book is recommended to a diverse scholarly audience. It supports scholarship in a range of disciplines including geography, art history, urban planning, and cultural studies. It is recommended for both undergraduate and graduate libraries. Scholars utilizing an interdisciplinary approach to research urban landscapes and cities are especially encouraged to explore this book.